Taoyuan, Taiwan, April 2016 - In Win Development Inc., a leading innovator and multiple winner of the internationally renowned red-dot Design Award, has today announced its new 303 PC chassis. 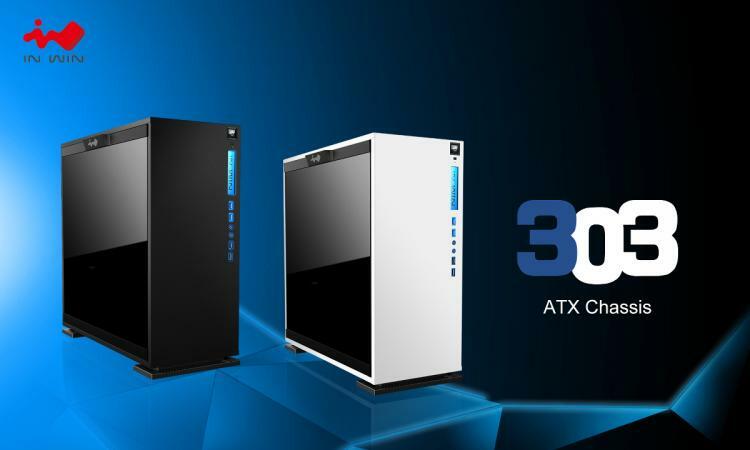 With an elegant yet modest aesthetic design, the new 303 presents an affordable chassis that still uses premium materials like 3mm tempered glass sides, strong SECC steel and a distinctly clean front panel that includes backlit In Win logo and blue-stripped I/O front panel. 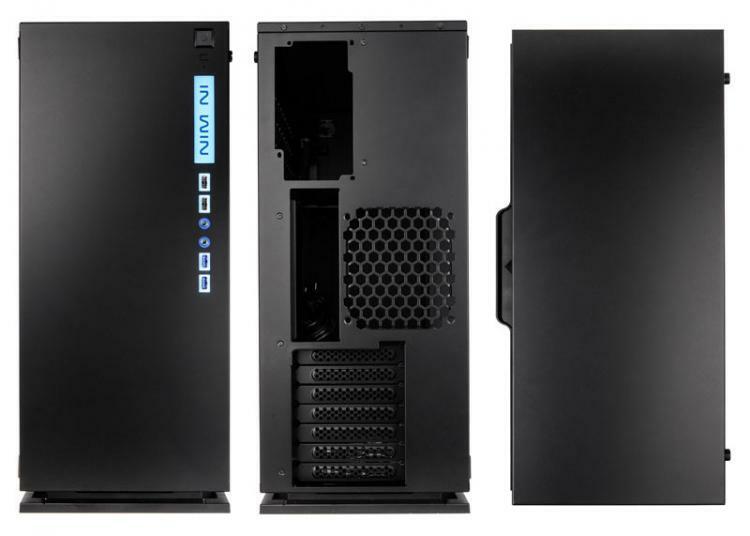 In Win has constantly set the standard for innovative PC chassis and the 303 is no exception, featuring tool-less removable side panels and dust filters, and extensive cooling options including up to 3 x 120mm fan (360mm water cooling radiator compatible) in the top, 1x 120mm fan rear and a further 3 x 120mm fans in the base. Air-coolers can fit up to an ample 160mm tall. Overall this creates a bottom to top airflow that complements natural convection. Further unique design can be found in its separate PSU (up to 200mm), 2.5” SSD (2x) and 3.5” HDD (2x) chamber that sits above and behind the motherboard. In addition, another detail is the specialized graphics card holder, which provides additional - yet discrete - support to long expansion cards. Available in black or white, the 303 supports ATX (12” x 10.7”), micro-ATX or mini-ITX motherboards, with space for up to seven PCI slots and 350mm long expansion cards. At the front connectivity includes USB 3.0 (2x), USB 2.0 (2x) and 3.5mm stereo HD audio jacks. 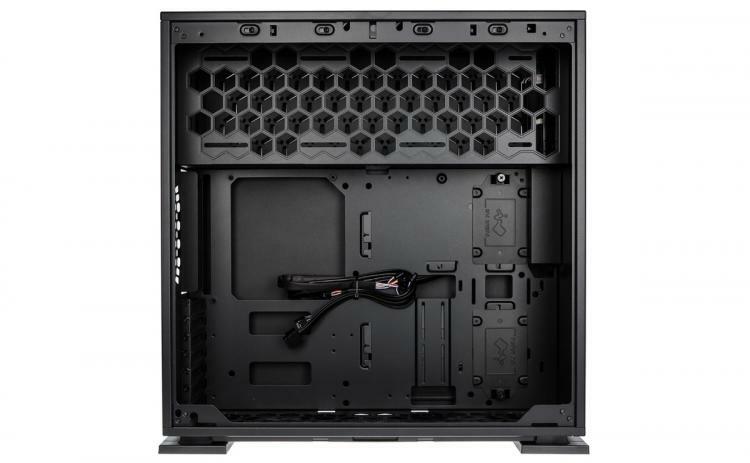 - Internal Drive Bays: 2 x 3.5", 2 x 2.5"
- Product Dimension (H x W x D): 500mm x 215mm x 480mm, 19.6" x 8.4" x 18.8"
- Package Dimension (H x W x D): 335mm x 610mm x 572mm, 13.1" x 24" x 22.5"
The InWin 303 is available in both white and black colour options from Overclockers.co.uk, priced at £79.99.